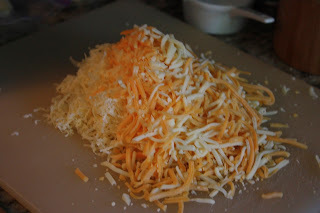 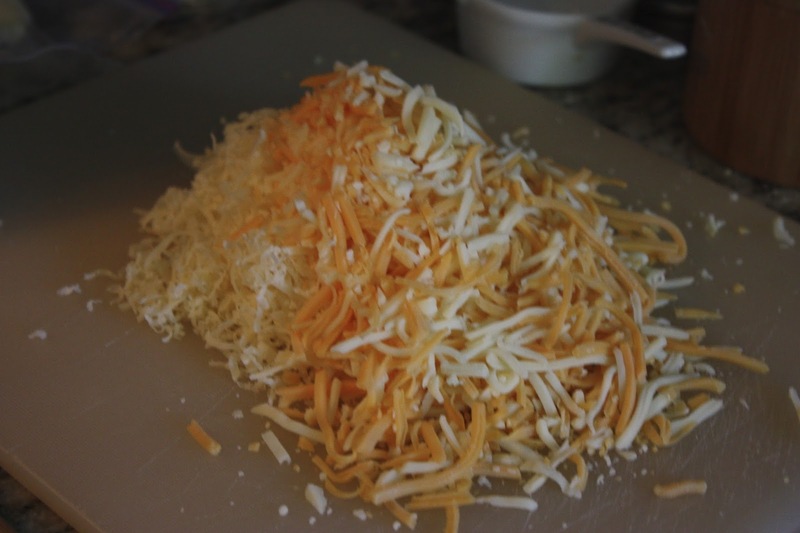 2 cups cheddar cheese, shredded - I used white cheddar and mixed shredded cheeses. 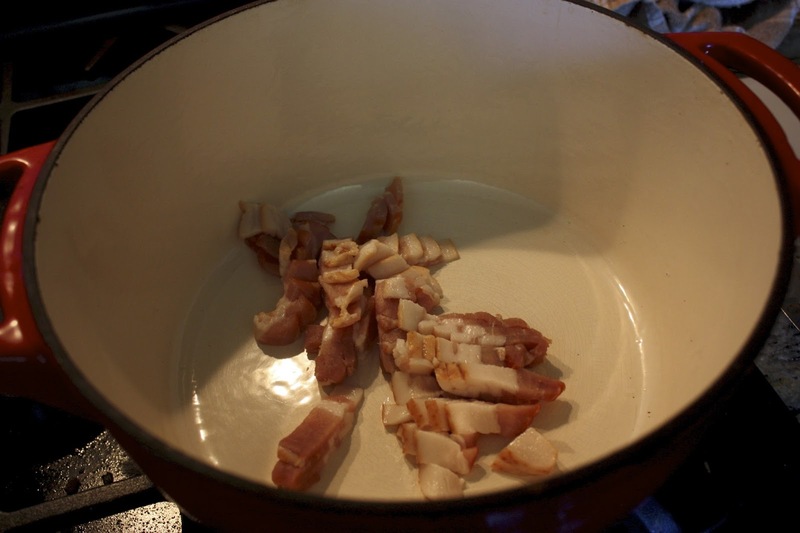 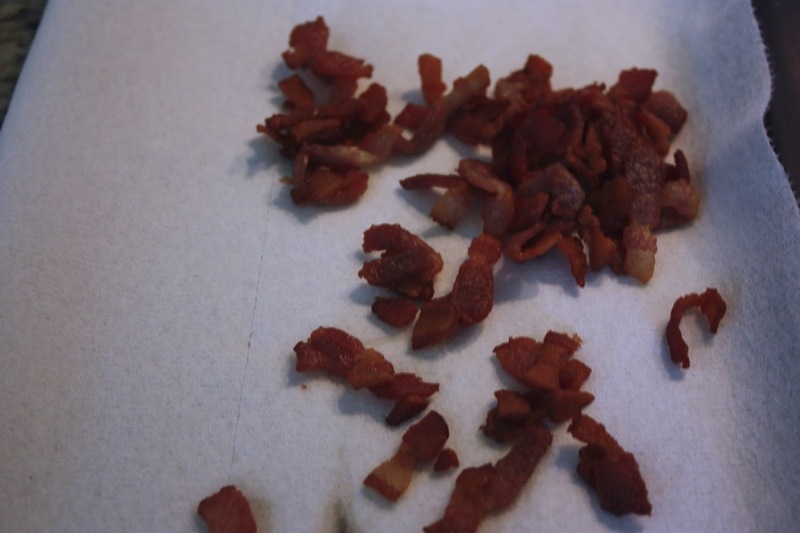 Cook the bacon in a pan over medium heat and set aside on paper towels to drain, reserving the grease in the pan. 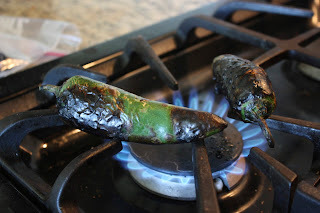 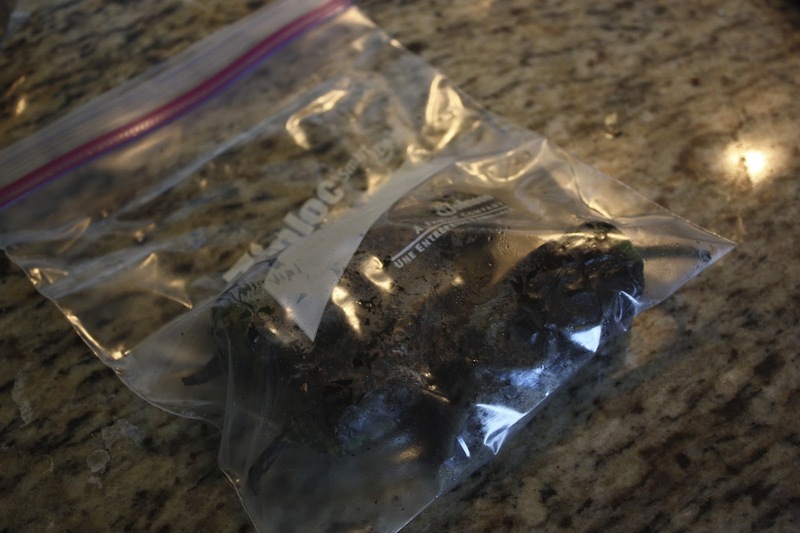 Roast the jalapenos over an open flame, when completely blackened, place in zip-lock bag to steam a few minutes, then when cool enough to touch remove the skins. 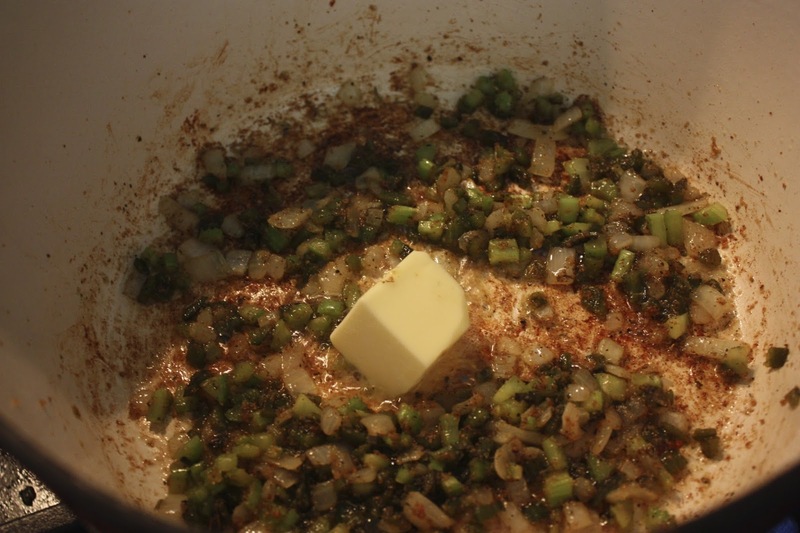 Add the onion, celery and jalapeno and cook until tender, about 10 minutes. Add the butter and let it melt, then sprinkle on the flour and let it cook until it starts to turn golden brown, about 2-3 minutes. 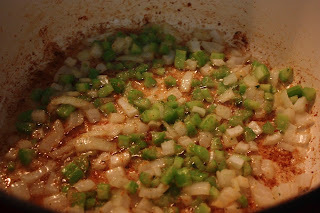 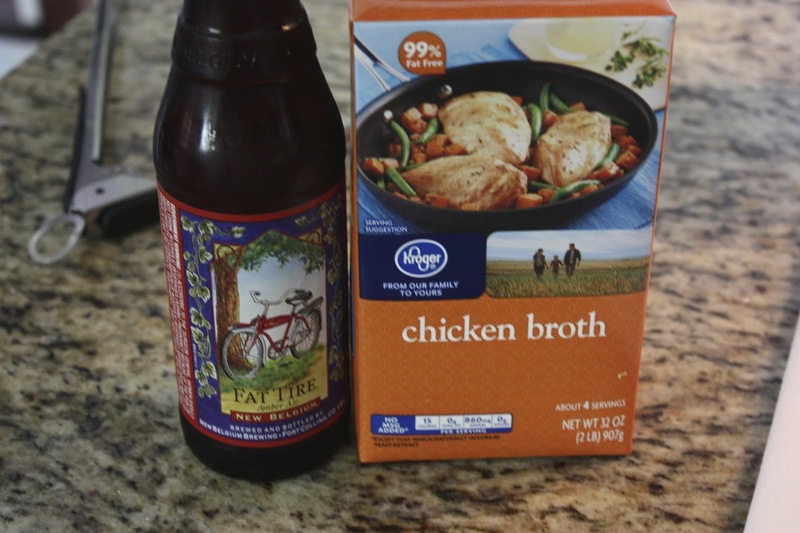 Add the ale and broth and deglaze the pan and then let cook for 10 minutes. 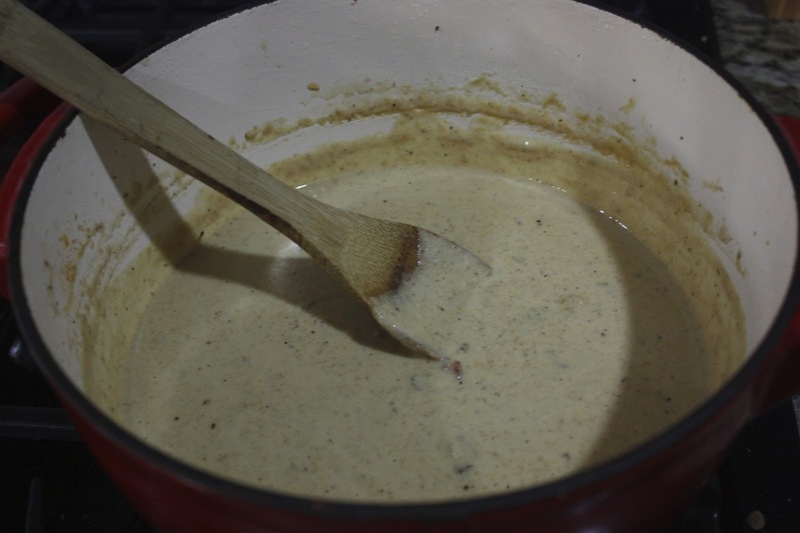 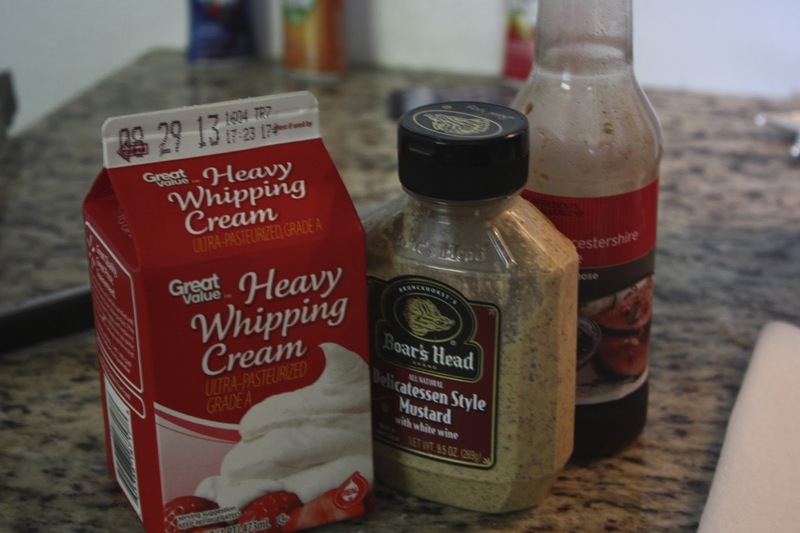 Add the cream, mustard, Worcestershire sauce, and cheese and cook until the cheese has melted without bringing it back to a boil. 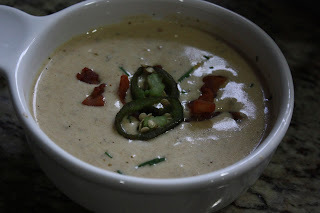 Season with cayenne, salt and pepper and add in half of the bacon pieces to the soup. 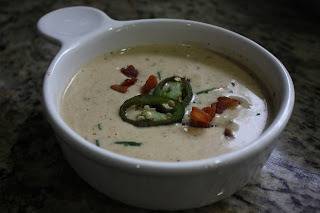 Serve with warm crusty bread and top with bacon and jalapeno slices.